Who wouldn’t agree that New York is among the most iconic cities of the world? It’s the place to go to experience food as art, avant-garde fashion, cultural neighborhoods and is home to many famous movers and shakers. But one of the most popular and well-known aspects of New York City is the theater district, famously called Broadway. Whether you’re a local or a visitor, the theater is an extraordinary cultural experience for all ages and one which should not be missed. Currently, there are some terrific shows running, and we’ve listed our top 5 favorites for 2018. 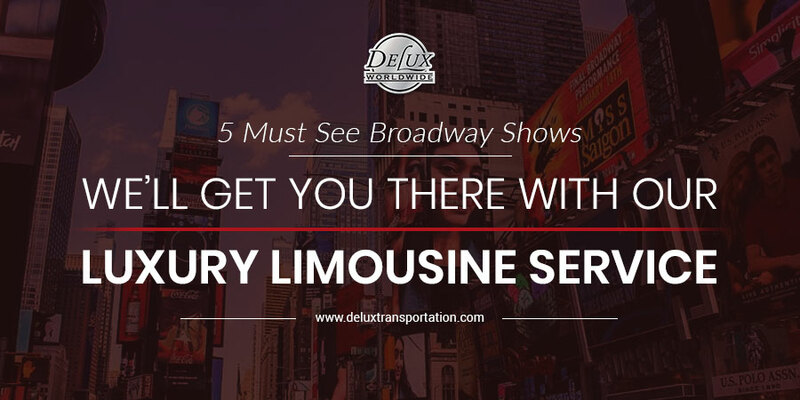 Make your trip to the theater a relaxing one by using our luxury limousine service. If you are a fan of shows like South Park, then you will love The Book of Mormon, a show filled with cheerful obscenity, lots of satire and some catchy tunes. The show is created by Trey Park and Matt Stone, of South Park fame, along with composer-lyricist Robert Lopez, known for Avenue Q. There are some compelling themes involved in the show, but there are also places that will make you laugh and smile. This show has recently moved to Broadway after selling out its run at the Second Stage Theater. It is a captivating musical with Ben Platt giving a stunning performance. The story is based on a student pushed into social relevance after the suicide of a classmate and uses a combination of well-crafted lyrics, catchy music, and characters that all have interesting shaded motives. The Broadway revival of this classic musical is currently showing and stars legendary Bette Midler as Dolly Levi. The show boasts old-fashioned charm, and Midler carries off the part to perfection with her warmth and drive. The show is classic musical theater, but there’s also the whole show-tune bonanza to it with showbiz dancing in all its glory. And it is a rare chance to see Midler on Broadway. It has been almost 50 years since she appeared in a show in the city. Are you a fan of Bruce Springsteen and up for a very different theater experience? Springsteen on Broadway is not the typical theater performance. The idea is simple – Springsteen himself is the show, spending some two hours without a band, although his wife Patti Scialfa does join him for a couple of duets. He sings most of his hit songs, but there is something wistful and understated about it all; it’s just a guy with his guitar. The result is a very intimate show void of the big stage, a big audience, and big noise. Hamilton is a musical biography. It’s about an orphan immigrant from the Caribbean who arrived in New York and became the secretary to General George Washington during his battle against the redcoats. Alexander Hamilton wrote most of the Federalist Papers, set up the Treasury and the New York Post. This musical version of his life story by Lin-Manuel Miranda has been a massive hit on Broadway for a number of reasons, including the fact that it blends history with modern music and even is a bit Shakespearean. As a side note, Broadway indeed is the place to go for top running shows. However, there are other locations in the city classified as Off-Broadway. These areas offer smaller, more intimate theaters that typically deliver excellent performances at a more economical ticket price. Make sure to do a little homework and learn about the other great performances in the city and give us a call; we’ll be happy to get you there! While grabbing a taxi is always an option in New York, the more practical way to get to the theater in style and comfort is by using a limousine service in NYC. 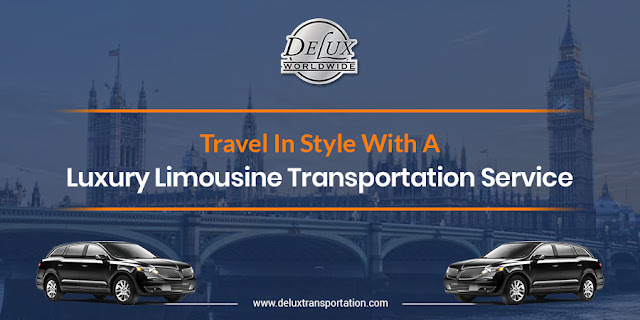 Delux Worldwide Transportation offers chauffeur-driven, door-to-door service from anywhere in the New York area. 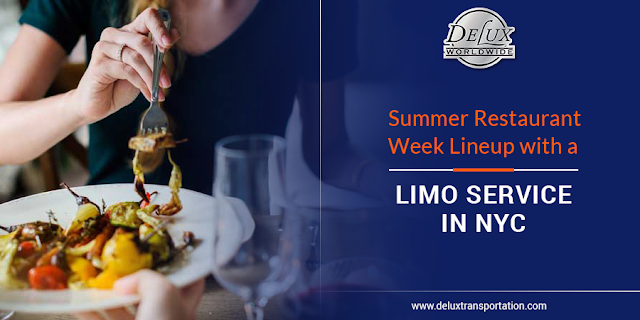 Make the evening a memorable one with our luxury limousine service tailored to your specific needs. For your convenience, you can book online, call our 24/7 reservations, or book with our mobile app. And if you want to make the evening a special one, speak with a reservation specialist about our champagne packages. Ultimate comfort and friendly reliable service is the way to do it up in the city. Did you know, New Yorkers consider the theater to be a typical and excellent way to entertain clients? Many executives choose our corporate limo service for business and know it’s an essential means to woo that all-important client. 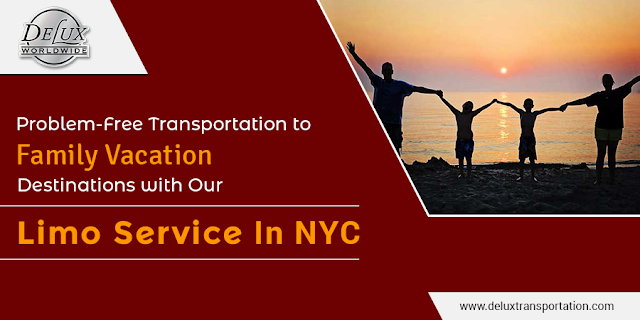 When the situation involves several pick-ups at various locations, our reservation consultants are well-trained in logistically planning the evening. We’ll recommend appropriate times for pick up as well as best vehicles to suit the occasion.